The amount of funds raised by African Tech start-ups is getting bigger year after year, and inspires a whole generation of Tech entrepreneurs. Flutterwave recently closed a $10 Million equity funding round from well known VC’s, less than a year after being founded. Paystack, a Nigeria based Fintech that has developed a modern payments infrastructure, also closed $1 Million after being part of YCombinator accelerator in Silicon Valley. Zambia has 16.6 Million people, with 1.2 Million adults in formal employment, 1.4 Million MSME’s & 2 Million emerging farmers. All of these people use traditional banks and end up spending a crazy 11% to 34% of their income to operate their account. The vast majority does not use banks at all, and any money they earn is stashed away under pillows or informally invested by lending to friends and family. Banks and microfinance institutions are approaching the unbanked segment to try to launch new projects with them. The problem is that these solutions are either not designed in the correct way to add value for the clients, or simply just inappropriate. 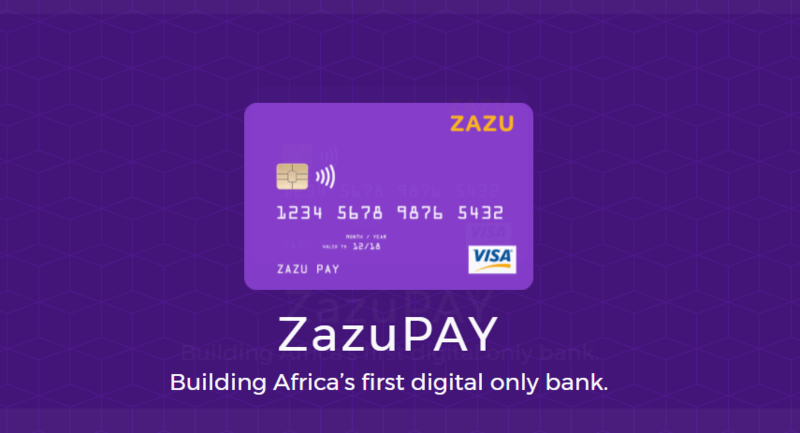 To face these challenges, the team behind Zazu decided to create the first digital bank in Zambia, a step up above mobile wallet and a more personalized solution than a traditional bank. With Zazu, anyone can obtain a prepaid debit card tied to a companion app on their Smartphone. This app will break down where and how you are spending your money. Open banking is becoming a reality and Zazu want to simplify how people open and maintain bank accounts. Currently, a lot of time is wasted by visiting branches and Zazu believes that there isn’t anything you can do in branch, that you can’t do via phone. Across Africa, interest in sophisticated financial services is on the rise. As a result, Zazu is building the bank of the future. One that will instantly updates your balance and anticipates your needs. This new type of bank will be built and leverage growing API”s to ensure that people will never be left unsatisfied. Working with the regulator from day one allowed them to better understand the technology, identify opportunities and consumer needs. Earlier this year, the Bank of Zambia released information about how financial literacy levels were not increasing across the country. With the Financial Sector Deepening Zambia (FSDZ), Zazu developed a free course to be delivered to people via USSD,SMS and voice channels. This course will teach people the very basic skills around money management, from defining what a bank is but also a credit rate, an interest rate or loans. 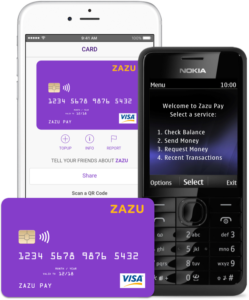 If people are to self-finance out of poverty, Zazu believes that digital services must be built around the average consumer.